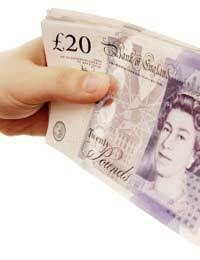 Home > Ask Our Experts > How do I get the Money I'm Owed? Q.I helped a friend out by signing a loan as the second signature (using my house as collatoral). She did not make the payments on time and I ended up taking out money from my retirement to pay it off. She agreed to send me £50 per month to pay it off. She agreed via an email and I'm having great difficulty getting the money. Do I have any rights and if so, how do I proceed? Anyone who is considering co-signing a loan should be aware of the consequences that can occur. The co-signer will usually be acting as a guarantor on the loan, meaning that if the loan is not repaid they will be liable to pay the full amount. In a great number of cases the usual reason that someone will ask another person to co-sign a loan is because the person who wants the loan has a bad credit record. This should be a warning sign to the co-signer that the friend is not the most reliable person when it comes to paying debts back. Other consequences to the co-signer could include a detrimental impact to their own credit record and debt collectors coming directly to the co-signer for payment. However, as the loan amount seems to have been paid off in full, the next step would be to collect payment from the friend. A legally binding agreement has been made through the offer of payment via email, and the acceptance of this offer. There were terms and conditions included in the email agreement including amounts and payment periods. If the friend has defaulted on this agreement then there are other avenues open to collecting this debt. Debt collection agencies can be used to collect the debt but there will be a charge for this service. The debt collection agency will send letters that may be the push needed to make the friend pay up. However, there is no guarantee that the debt will be recovered and the agency will still usually demand a fee. The other option is to take the matter to the small claims court if the amount owed is under £5,000. The fact that there was a legal agreement means that there would be a very good chance of winning the case. However, the debtor may try to prove that they cannot afford to pay this debt and it will be a matter for the courts to decide on. The debtor may be forced to pay back the money in instalments and if they default on this then the matter can be legally taken further. @tay - I think you need to sit down and have a serious chat with them. You are too young to take them to court and even if you could, you would need to show evidence that the money was actually lent to them in the first place. They may come to an agreement to pay you back at a certain age. @DC - Im afraid we cannot give advice on US law. However, it is understandable if his ex's grandmother did give them money to help buy a house, then it is quite naturally justified that she might want it to go back in her family's coffers. However, whether it will stand up in court is a different matter. Hi I hope you can help with this problem. My daughter, shortly after her 18th birthday was asked by her 17 year old friend to take out a contract mobile phone for her as she was too young to do so herself and that the friend would pay the monthly bill and sign over the contract a few months later when she turned 18. My daughter, knowing no different and thinking she was being a good friend took out the contract and passed the phone to the friend. The direct debit was completed with the friends bank details and was signed by the friend. A few months later my daughter and the friend went in to sign over the contract into the friends name but the phone company (Vodafone) would not allow the contract to be signed over as there was £100 arrears on the account. Vodafone said the arrears had to be cleared before they would sign over the account. We gave the money to our daughter so the arrears could be cleared but when they went in to clear the arrears another £30 had been added ( the friend failed to pay another months bill). We gave another £30 so my daughter and the friend went in to sign over the account again but this time the friend had forgotten her bank card and Vodafone again would not sign over the account. After this the friend cut all contact with my daughter and a few weeks later we found out that the friend had sold the phone and had stopped making any payments. My daughter received a number of warning letters from Vodafone regarding thecontract and so she paid the arrears that were on the phone at that time and set up a standing order to pay the rest of the contract. All told she has paid nearly £600. As soon as we had found out my daughter had taken out the contract for the friend we went into the shop ( Phones 4 U) to try to get the contract cancelled but to no avail. I also contacted Vodafone but they said it was nothing to do with them. When the friend stopped paying the phone bill and sold the phone we even contacted the police to see if any offence had been committed (theft, obtaining money by deception etc) but they said they could do nothing. My question is should we be able to recover this money through the small claims court and if so under what offence? W ould this be breach of contract? Any advice you could give would be greatly appreciated. I'm a child minder.In 2008 I began looking after 2 girls.The parents have legally parted and in 2012 the child fees fell into arrears to the sum of £5,955.The mother is now a full time carer for her girls.The farther has indicated that the outstanding amount are the responsible of the mother.Given that the mother is not working and the original agreement was with both parties should I make my claim to both? A partnership is defaulting on my promisery note.And say if I take them to court they will go bankrupt and then I will only get 10p in pound back.Its pention pot a large amount £75k so I cant afford to lose it,should I wait untill they can pay if ever? I borrowed £700 off my aunty to lend to my girlfriend, now my ex girlfriend, so she could pay a bill to the mechanic to get her car fixed. I was silly really as we had only been together a month or so, mad I know! Is there anyway we can get this £700 back? Ok, she hasn't said that we won't get it back but, she's said we won't be getting it back as quick she can only pay £50 a month, rather than the £200 a month as per agreed. I feel that she's stalling. What can we do as we have nothing in writing.